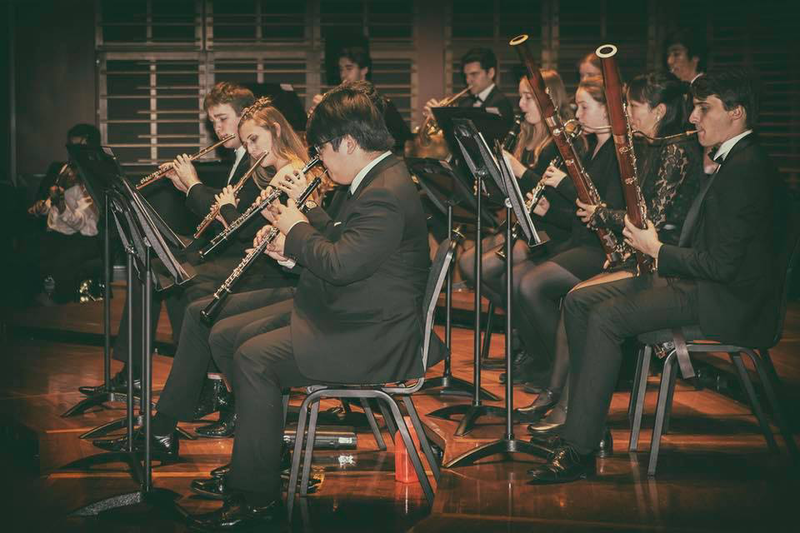 It was a thrilling night of sweet symphonic sounds, performed at the Conservatorium. 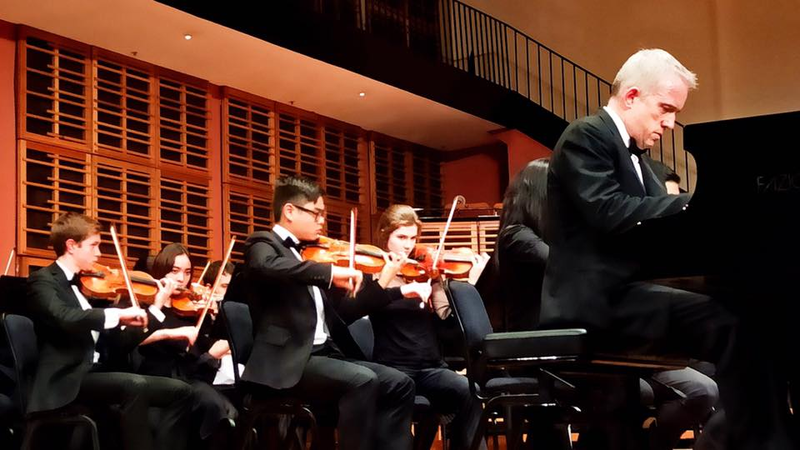 The Sydney University Symphony Orchestra returned for their second installment of the season on Saturday with ‘Keys to the North’, performed at the Conservatorium’s Verbrugghen Hall. It was a night of high-flying piano virtuosity melded with simple folk melodies, Baroque sounds alongside archaic timbres, and rich Romantic textures against Classical rigour. Under the baton of Principal Conductor Luke Spicer, the orchestra performed a substantial programme, made up of Pyotr Ilych Tchaikovsky’s Piano Concerto No. 1 in B-flat major, Op. 23 with soloist Clemens Leske; Remo Giazotto’s Adagio in g minor with soloist Thomas Glastonbury; and Jean Sibelius’ Symphony No. 3 in C major, Op. 52. Tchaikovsky’s Piano Concerto No. 1 is a famously controversial work. Composed between 1874 and 1875, Tchaikovsky dedicated the piece to renowned pianist Nikolai Rubinstein, who was meant to be the soloist for the work’s debut. When the composer presented the first movement, Rubinstein denounced it as ‘bad’, ‘vulgar’, ‘worthless’, and ‘unplayable’. He said he would honour Tchaikovsky by playing the concerto only if it was reworked to his demands. Tchaikovsky refused and published the work as it was. One can almost understand Rubinstein’s offense: the opening horn call is accompanied—or rather intruded upon—by the grandiose, bombastic chords of the piano. For SUSO’s performance, soloist Leske applied his formidable skill to the first movement’s heroic bravado, monumental technicality, and alternating thunderous and sweet patriotism. The Andantino semplice (slowly and simply) marking of the second movement lends itself to various interpretations. Spicer took the tempo quite quickly, giving more spirit to the flutes’ opening statement of the theme and the piano part, but at the risk of losing some of the movement’s dolcissimo (sweet) quality and dance-like naïveté. It also meant for lowered impact of the contrasting Prestissimo (very quick) middle section. Nevertheless, the orchestra managed to capture the section’s sprite-like quality, transitioning seamlessly back into Tempo I.
Leske was masterful in the third movement, his playing brilliant with folkloric colour and virtuoso technique—all the way to its thrilling end. Overall, it was a highly enjoyable performance. But there were a few things worthy of distraction. Naturally, there are certain discrepancies between seasoned professionals and a student orchestra, let alone a non-Conservatorium selection. But the real problem was the disparity of energy levels between the soloist and several members of the orchestra: there was an obvious difference between the face-wiping involvement of the soloist and the floppy-wristed effort of some of the players. Sitting close to the nine-foot Fazioli piano, you will undoubtedly hear it more, but I felt there were several places where the orchestra could have matched the intensity of the pianist. The sharp, bullet-fast pedaling made for a brilliant and clear sound, but this was often dragged back by postponed responses of the orchestra—a lingering note on a woodwind here, delayed lift from a string instrument there. The next piece on the programme, the Adagio in g minor, conversely revealed a much more cohesive orchestra: the melodies were phrased beautifully with lovely intonation to match. The soloist’s sound, while capturing the antiquated feel of the work, could have been smoother to match the synchronicity of the orchestra. There was a drawn-out awkwardness before the commencement of Sibelius’ Third—a search for a missing cellist, I think? Whatever the issue, there was a sense the orchestra had not fully settled. But the cellos and double basses seemed to use this restlessness to their advantage during their rhythmically bold opening theme. One of his lesser-known symphonies, Sibelius’ Third straddles the Romantic intensity of his earlier symphonies with the formal complexity of his later works. The piece is often described as deceptively simple, a blend of dense Classical intellectualism with economical restraint. Spicer led the audience through the sometimes strident and triumphant themes, other times serene and folk-like, and the orchestra was clear in navigating its complexity. There was an alluring feel to the second movement with its swaying barcarolle rhythm. The melody floated above the plucked notes of the double bass. Sibelius himself described the third movement as the “crystallisation of chaos”. While the orchestra did manoeuvre through the many thematic fragments with great clarity, the chorale-like ending resting on a low simmer, rather than boil over into its dramatic end. The culmination of the three works together made for an enjoyable evening of both famous and lesser-known masterpieces.